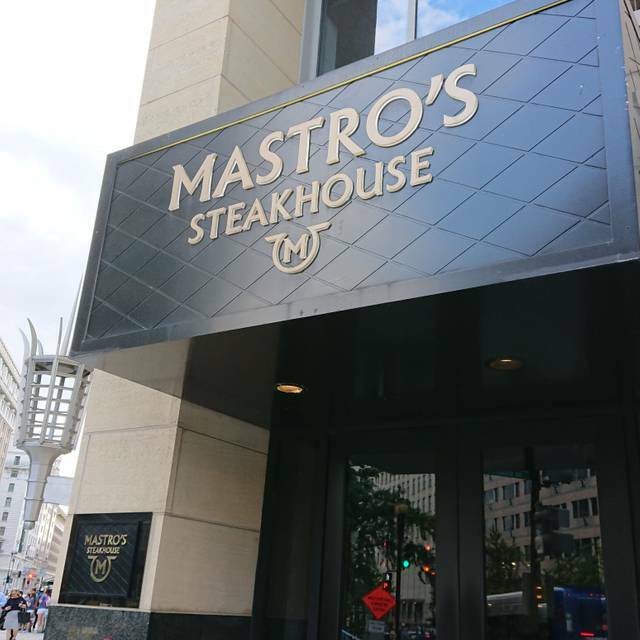 You must make reservations at least 5 minutes in advance of the time at Mastro's Steakhouse - DC. Dinner: Sunday - Thursday: 5:00pm - 10:00pm, Friday - Saturday: 5:00pm - 11:00pm. Bar opens at 4pm daily. 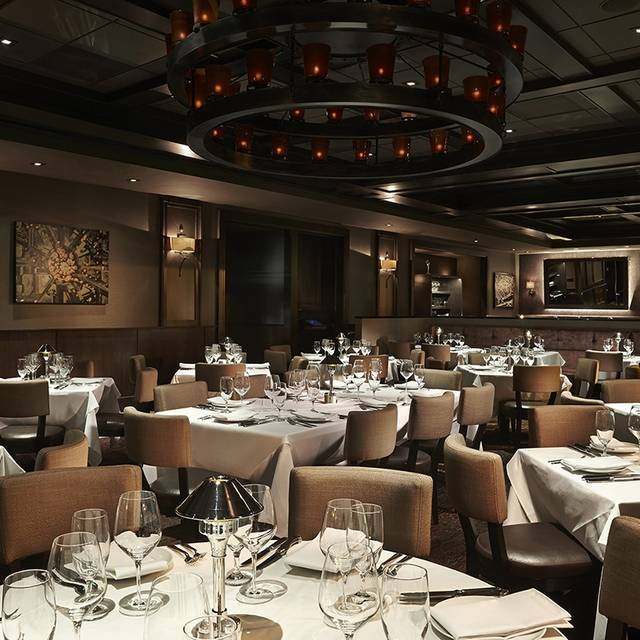 Mastro’s collection of sophisticated, classic Steakhouses and Ocean Club Seafood locations are recognized for their combination of world-class service, highly acclaimed cuisine, and live entertainment in an elegant yet energetic atmosphere. 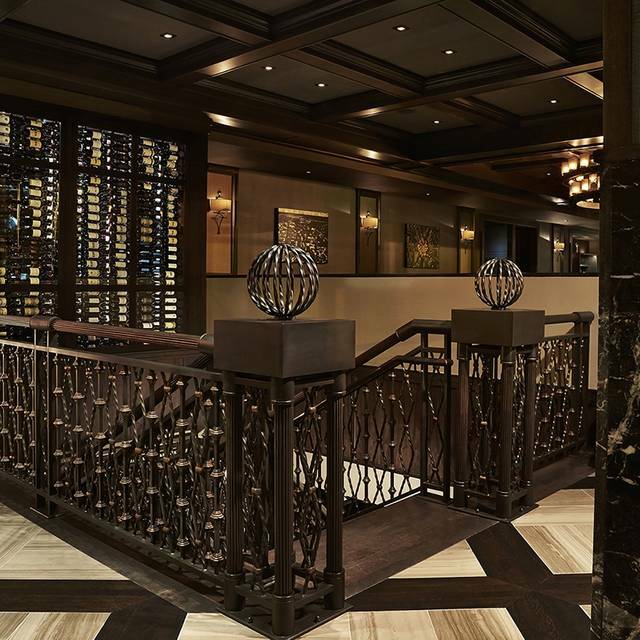 A truly unparalleled dining experience. Tempura fried asparagus rolled with rice, cucumber, spicy mayo, yamagobo, avocado, red lettuce & sesames seeds. Served with spicy mayo. Big eye tuna with fresh avocado, spicy onion salsa, and ponzu chili sauce. California chile tempura with big eye tuna, fresh avocado, ponzu sauce and curry oil. Hamachi sliced sashimi style. Served with fried thinly sliced Mexican green onions. Topped with ponzu truffle oil and truffle salt. Ahi Tuna sliced sashimi style, topped with fresh squeezed key lime juice, thinly sliced jalapenos, and ponzu chili sauce. Spiny lobster tempura, mango, avocado, spicy mayo and masago (flying fish roe) rolled with fresh greens. Served with Chef Angel's signature lobster sauce and curry oil. Seared albacore sliced sashimi style. Topped with ponzu, fresh shaved black truffle and fried crushed garlic chips. Every time I visit a city with a mastros I make sure and visit. The service is always great, food spectacular and the atmosphere is electric. Loved the food & drinks! NY Pepper steak, Great! Bone in Ribeye, Great! Blackened Salmon, Great! I was disappointed in the fact that they got rid of the Mastros Tripel Belgian Lager. We dined early so noise level was fine. The food was fabulous our waiter knowledgeable and very pleasant. Live music from lounge could be heard in the dining room and it was fantastic! Added to an enjoyable evening. Thank you. The food and service was excellent, the only complaint is the lighting. To dark! 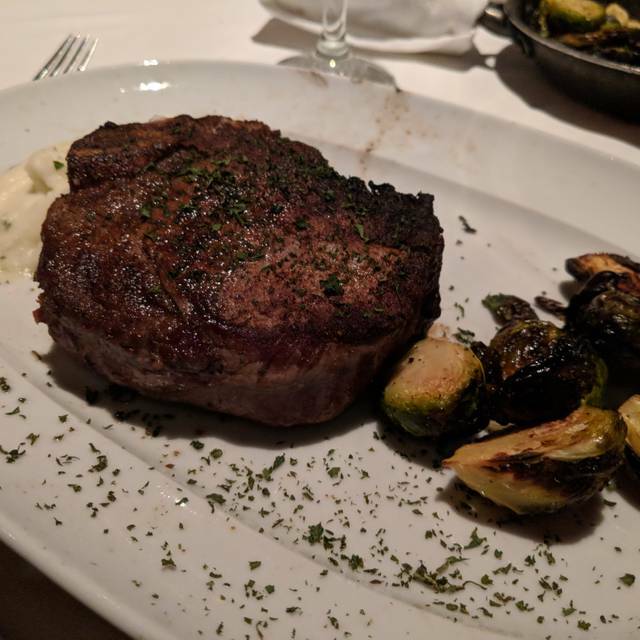 We’ve eaten in many steak houses and it was on par with others such as capital grill although the sound was not as loud towards the rear of the restaurant. We ate at the Plume the night before which was superior in comparison. Very poor experience. Perhaps the worst restaurant experience ever. Service and management were astoundingly poor and failed to address an issue where drunk men made lewd, inappropriate and loud comments. . Manager was requested to address it but he was too weak to do the right thing and instead the server offered them more drinks, making them evenmore belligerent. Not a family environment. Definitely not the downstairs. Loved having cocktails and dinner in the bar. Food and entertainment are stellar! The food was nothing special but expensive. Our waiter was pushy. It’s a bit noisy - with a lot of people and loud music. When I reserved I specifically indicated that I would like a quiet table as it was a business meal. But then they gave us a table right beside the area where servers are going back and forth and putting dirty dishes and cutlery - which added to the noise. I believe a high end restaurant should take these reservation details seriously as people who dine there go there for a specific purpose. Also, I think they should ease up on not letting people sit without the whole party being present. People who make advance reservations, with a part of their party already present, should be able to comfortably sit down and not have to squeeze into the bar area. Mastros is my favorite. 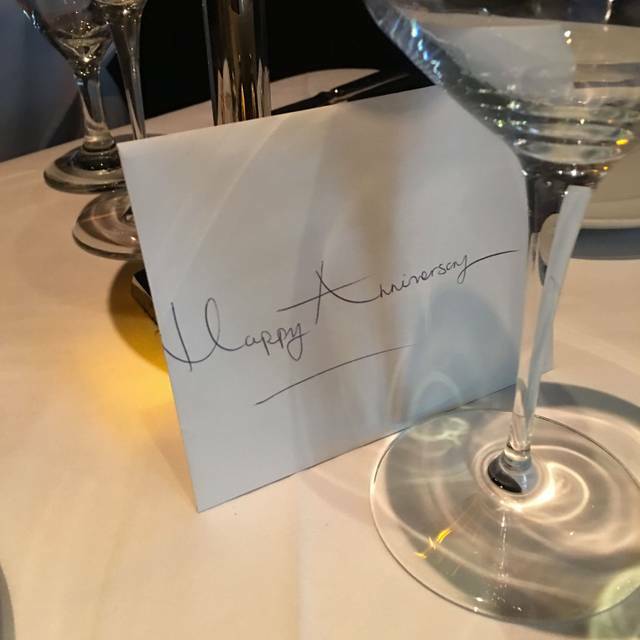 I celebrate most milestones there and am always pleased with food, service and atmosphere. Impressed with the really cool Food-Presentations (uplighting and smoke- nice touch!). Food was delicious, ambiance was romantic. Hamyon and the other wait staff were extremely attentive and service was impeccable. Worth every penny! Will definitely be back! Took my mother to Mastro’s for her first time. It was a late Christmas present. It was excellent as usual. Our waiters were Jennifer and Evan. They were attentive and fun. They made the dinner perfect. I have been to many different locations and all of them are top notch. The service was excellent but the food was just ok. Not sure why but it seemed that the New York locations food was better for some reason. The price seemed to be extremely high compared to what we got and for the quality of the food. I would likely not attend this restaurant again as I don't feel that the quality if food matches the price. Love the atmosphere!! Great food and great music. I will be dinning there again. Great food, good service, amazing ambiance, very pricey. The food and service were great. We were having a Birthday dinner celebration and everything was wonderful except for the check- in hostess at the front door. She was extremely rude to the entire dinner party. We were on time, all parties were present but she was rude, abrupt and extremely hostile. The restaurant manager noticed something was wrong, stepped in and proceeded to make our dining experience pleasurable. Other than the experience when we arrived, everything was outstanding! Bad food. Steak cooked incorrectly. Way too loud. Rude hostess. Server did her best to salvage but just awful. Won’t return. Everything was great except the noise level. 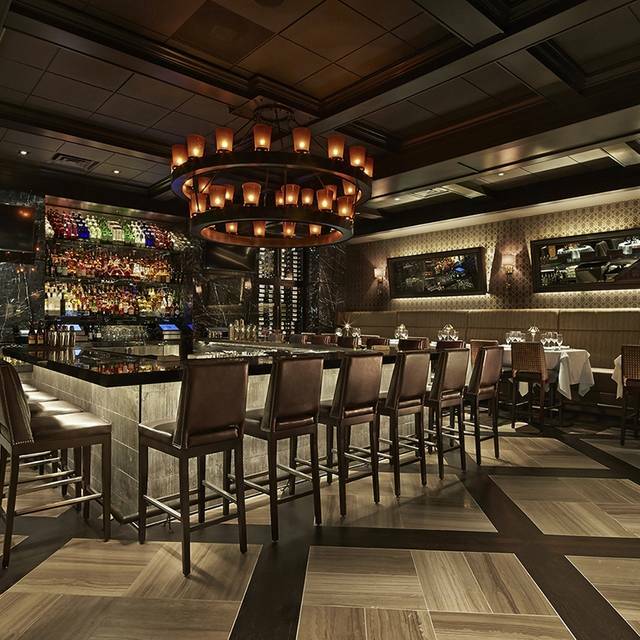 This is one of my favorite steakhouses in the DC metropolitan area. I always have great service. The food is seasoned well. The servers are very knowledgeable and always are kind and attentive. I hope they keep up the good service. 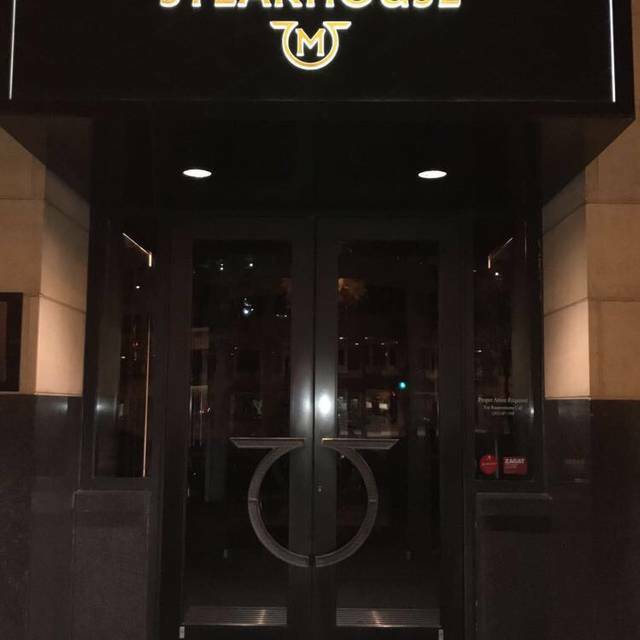 The experience was normal - not much different than any other premium steakhouse. The server Michael was excellent. He really made the experience. They initially attempted to seat us downstairs - that would have been terrible the ambience downstairs was very grim. Waitress was terrible. A little impatient and seemee to worry about other tables. Would try again but the service needs to improve especially when spending over $500. Worse experience ever, horrible management! This was my second time visiting this particular Mastro’s in the last seven months. My wife and I usually order the 22oz bone-in ribeye. Again they did not disappoint. Our waiter was excellent. This time we also tried the warm butter cake which was really good. Management picks and chooses who to address about dress code. Service was good, food is very delicious. Live music so it is very loud in the bar area and the dining room. 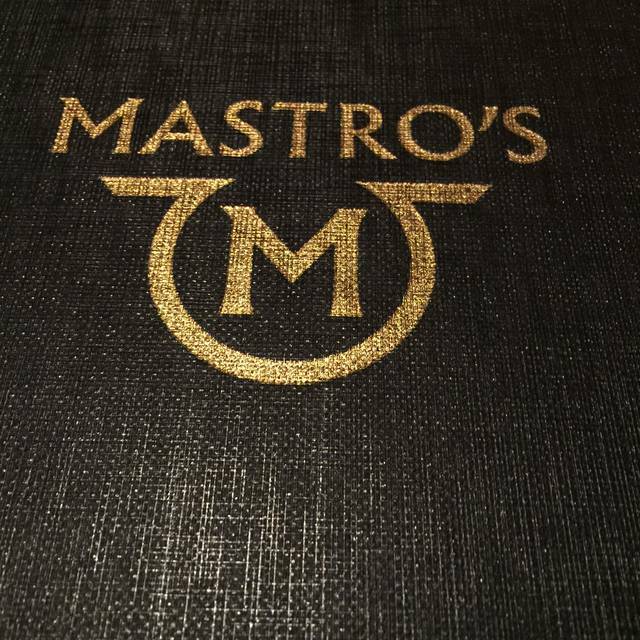 This was our first experience at Mastro’s. The servers were extremely attentive and knowledgeable about the menu, which was evident from their food and wine suggestions. They helped me make my girlfriend’s birthday dinner a success. You must try the bone in filet!!! The service was good however the food left a lot to be desired. The steak was perfectly cooked to medium well however it had no seasoning, just tasted like plain beef. The macaroni and cheese tasted like stouffers, the brussel sprouts were burned and the mushrooms tasted like the skillet. The butter cake could’ve easily been from a package at 7-11. The pecan pie was good but how could you mess that up...it’s literally like three ingredients. And the price was a whopping $236.50; add gratuity and valet parking and we spent almost $300. 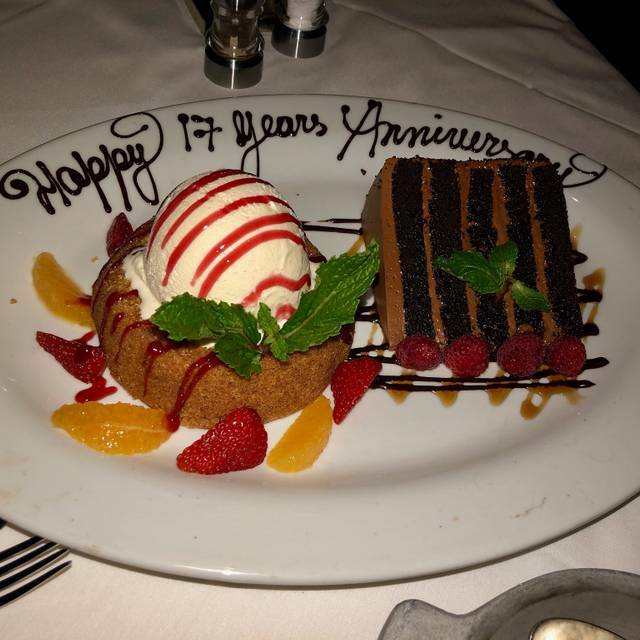 Ruth’s Chris is still my favorite...great food, great service, reasonable price (roughly $200 for similar items). In addition, it seems that the dress code is subjectively enforced. A man sitting at the next table was wearing jeans and a polo style shirt with bleach stains. One of the female staff members (I assume a bartender) was wearing tiny shorts and a faux leather bustier top. She looked like she should’ve been working in a night club. Finally, it’s realy dark in the restaurant which made it hard to read the menu and navigate my way to the restroom. I won’t be back to Mastro’s. Food wasn't seasoned at all, burnt my brussel sprouts. Best thing was the wine and to top it off it was our ANNIVERSARY! Amazing experience - always a go-to for a special occasion. The Sunday night musicians were FANTASTIC!! The customer service was EXCELLENT! Our servers name was RICE and he was very helpful he even suggested a entree for me which was amazing. The restaurant was very crowded and it was very loud inside but my experience was still great. I would say the tables are too close together which is annoying. The food was cooked perfectly I had a 16oz NY strip ($60) topped with crab meat (additional $33), it was so tender and juicy didn’t even need steak sauce and the crab meat was jumbo and juicy. We ordered a mastro’s house salad which was $21 and big enough for 2 people (I didn’t eat much of it because it was drenched in dressing literally the bottom of the bowl had a puddle) it wasn’t my cup of tea just because of that reason but it was topped with 2 jumbo shrimp that were delicious next time I’ll get the dressing on the side. The oysters on a 1/2 shell were very fresh & cost $5 a piece. My fiancé ordered the 2 lobster tails. They were so big! Cooked perfectly! So juicy and tender. The twin lobster tails were $68. Another thing I really appreciated was the fact that you can add the valet to your bill ($12) so you don’t have to worry about scrambling for cash! We would definitely return.